When you think of Wyoming, (if you think of Wyoming, gambling is not the first thing that comes to mind. The state actually has more regulated forms of gambling that most people realize, which came as a pleasant surprise to us as well. Gamblers have access to a handful of state licensed betting venues that provide a decent range of options, albeit somewhat limited in scope, for residents and visitors to the state. Wyoming’s gambling industry has expanded nicely in recent years to see a lottery system added as well as historic horse racing in the re-established pari-mutuel wagering arena. In an effort to establish ourselves as a trusted and comprehensive gambling resource, we have created a state by state guide to understanding the legal status of gambling in each state, as well as provide insight into the state’s gambling laws. This particular page is dedicated to looking at the legalities of gambling in the state of Wyoming, with the intent of providing knowledge to individuals seeking clarity and understanding concerning legal gambling options in the state. We want to assist players in making informed decisions regarding their individual involvement with responsible gambling entertainment. We are not here to offer any type of professional legal advice or services, nor are we qualified to do so. What you will get on this page is our educated and informed opinion based on combined gambling industry experience that spans decades among our team of analysts. The gambling statutes in Wyoming do not make mention of online gambling as of this writing. By not addressing the issue, Wyoming cannot move forward with state regulated online gambling. This means that it is not legal at this time for anyone to own or operate and online gambling site within Wyoming’s state boundaries. That’s the down side. The up side to online gambling being left as status quo for now is that there are no state laws prohibiting players in Wyoming from enjoying online betting at licensed Internet gambling sites. The key to staying on the legal side of the coin is being selective about where you place your bets. As long as you make sure to only gamble at online destinations that are legally licensed and regulated outside of the United States, you will not be violating any type of Wyoming state or federal gambling laws. Should Wyoming take any steps to advance or restrict online gambling within their state, we will provide updated information here. As mentioned earlier, Wyoming hasn't legalized online gambling yet. So players won't find any state regulated online gambling options just yet. However there are multiple offshore gambling site that are legally licensed, extremely reputable and fill the state regulated void just fine. Bovada is one such site that has become the leader in the US online gambling market. They feature a full service online sportsbook and casino giving players a one stop shop for all their betting needs. They're extremely reputable, fully licensed and offer fast payouts guaranteed. We only recommend the top shelf operations here on legalbettingonline.com. Is Playing Online Casinos For Real Money Legal In Wyoming? As mentioned previously in this guide, state regulated online casinos have not yet become legal in Wyoming. We have no indication that the legal status of state based online casinos will change anytime soon. The good news is that this does not mean there are no opportunities for players in Wyoming to enjoy real money casino games online. In fact, there are a number of legally sanctioned, high quality offshore legal online casinos that accept players from Wyoming and deliver a reliable and impressive performance. 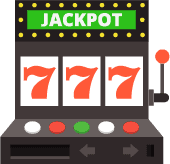 The most trusted and respected brands from among the many online casinos operating on the web are included here in our recommendations. They are each verified to hold legitimate credentials for operating legally within the industry, and they all utilize industry leading software solutions for a reliable and feature rich experience. Welcome bonuses and ongoing promotions provide incentives for trying them out. Is Sports Betting Legal In Wyoming? We have to give the same answer for this question that we give for every state. Why is that? This is due to the fact that the Federal Wire Act prevents US based online sportsbook gambling in every state across the country. Wyoming is not authorized to offer state regulated online sports betting even if they wanted to. The Paspa law also effectively bans sports betting in all but 4 states. So what are sports fans who cannot travel to Vegas supposed to do? We are so glad you asked. Sports fans in Wyoming seeking legitimate online sports betting have legal access to a handful of approved online sportsbooks that accept players from the Cowboy State. These sportsbooks are all licensed and regulated, with their base of operations located outside of the United States. There are no state or federal laws that prevent gamblers in Wyoming from enjoying this type of bookmaker action. 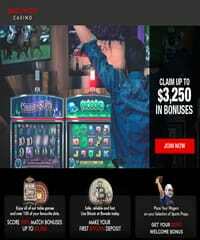 The sportsbooks we recommend on this page all accept players from Wyoming, they are known for offering a huge selection of sports to bet on, wagering options and betting lines, with paylines that are competitive with the Vegas bookmakers. You will find some great features offered, such as live betting and mobile apps. Is Online Poker Legal in WY? For most states, online poker is the first Internet gaming platform that is considered for legalization. Since poker requires skill and not just luck, there is an overall more positive perception of this game, and it is sometimes easier to get the general public to buy into the concept. All that being said, Wyoming is not yet to the point where they are considering state based online poker legalization. Because of this, you are not going to find any state regulated online poker sites operating within Wyoming. That’s not the end of the story though. There are a handful of high quality, legally regulated online poker sites that accept players from Wyoming. The poker sites you see recommended in this guide are all officially licensed, regulated and compliance certified through a legitimate jurisdiction that has authorization to provide their poker gaming services to players around the world, including those in Wyoming. They provide a sophisticated and feature rich interface, great performance options and an active tournament schedule that includes playing for seats at live major events around the world. The legal minimum gambling age requirements in Wyoming dictate that players must be at least 18 years of age or older in order to participate in casino or poker games, pari-mutuel wagering, lottery or charitable gaming such as bingo or raffles. The reason that the casino age requirement is only 18 is because no alcohol is served at the tribal casinos in Wyoming. Penalties for underage gambling include being charged with a misdemeanor and punished with a fine and/or jail time, as well as revocation of your drivers license. Gambling businesses that allow underage gambling may face a fine and/or jail time as well as revocation of their business license. Wyoming takes underage gambling very seriously, as well they should! Since online gambling isn't regulated, players can legally gamble at the sites that allow 18 year olds and up. Will I Get Into Trouble If I Gambling Online In Wyoming? There is a caveat to answering this question. The answer depends on where you are intending to place your bets. If you become involved in an unlicensed online gambling situation that is taking place within Wyoming’s borders, then yes, you can get into trouble in this situation. In addition to breaking the law, you would also be placing yourself in a dangerous situation with criminal entities. However, if you are participating in online gambling at a legitimately licensed and regulated online gambling site that is operation legally within the industry, then you are at no risk or being arrested, investigated or prosecuted. There are no state laws prohibiting online betting at legally sanctioned online gambling sites that are operating internationally. Does Wyoming Have Any Plans To Legalize Online Gambling Anytime Soon? There have not been any indications that anyone is calling for online casino or poker gambling at a state level at this time. The bulk of gambling opportunities in the state are provided through tribal compacts. A push would likely need to come from the state’s native Indian tribes in order for anything to start moving concerning state licensed online gambling initiatives. As state regulated online gambling becomes more widespread, we expect that states such as Wyoming that have some appreciation for gambling entertainment will warm up to the idea. The other path that may lead to consideration of online gambling in Wyoming is if the state’s budget requires significant assistance.